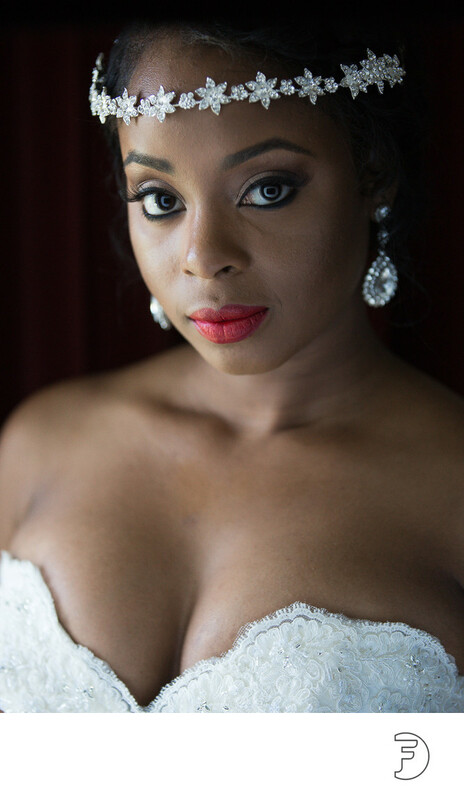 We took this beautiful portrait of our lovely bride wearing a crown at Doolan's Shore Club in Spring Lake, NJ. African bride. Location: 700 NJ-71, Spring Lake, NJ 07762.